Nine Days til BURN2 Opens! READY? The Lamplighter Elders have been busily checking lamps and oil, setting up the Village on the virtual Playa, and getting everything ready for the big event. When you come to the Gate, You won’t miss the Village – the Lamplighter statue with its familiar hat and lamps is easily seen from the Gate Road as you walk onto the Playa. Saturday the 26th and Sunday the 27th, we will not do processoins. Instead, we will attend the Burns. We lead the dance as the Burns wind down and the sun makes its way back up into the sky. The Man will BURN on SAT 26 October 4:00am SLT, 12:00pm SLT and 8:00pm SLT. 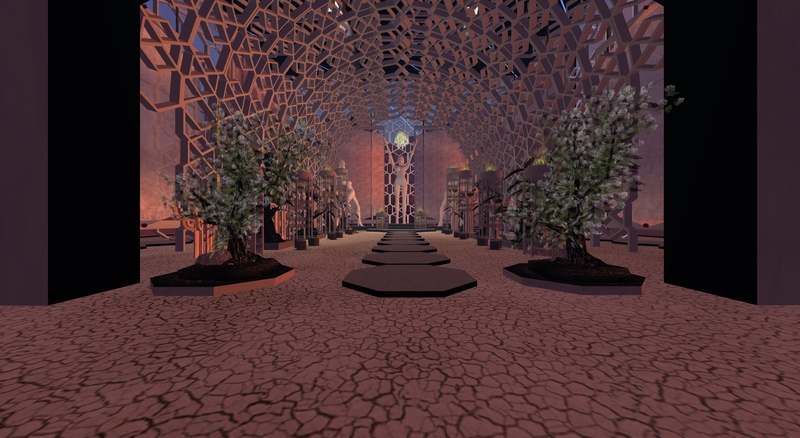 The Temple will BURN on SUN 27 October 4:00am SLT, 12:00pm SLT and 8:00pm SLT. Come HOME to the Playa on opening day, noon SLT on the 19th of October! Previous Lamplighters Drumming SUNDAY October 6! Next A Call to SKIN BURN!